Hands up who hasn’t been thinking about getting in or whizzing around on the water with all this lovely weather recently? 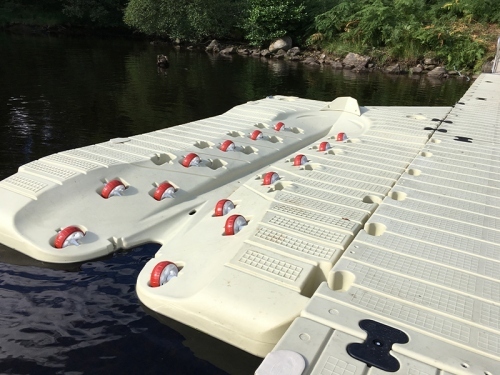 One of Wardle Marine’s most popular products is their group of Jet Ski ports. The Jetport, Jetport Plus and Jetport Max. The Jetport is the original model, is 386cm length and 147cm width, and has a lifting capacity of 1200kg. The Jetport has fixed wheels and rollers with a tapered entrance for ease of dock and launch. The Jetport Plus has a lifting capacity of 1340kg, though otherwise, it has the same dimensions as the Jetport, but with the added quality of adjustable wheels enabling you to fit it according to your specific jetski model. It’s V shaped base makes it suitable for different jetskis to the Jetport, which has a flatter base. This model was also designed to give better rigidity and distribution of load. The Jetport Max is a step up from the Jetport Plus. It’s a wider model, at 196cm, allowing extra access and walking space. It also holds corrosion free rollers and with UV stabilisers built in, it is virtually maintenance free. This is our top of the range model. All Jetports can connect to each other, as well as the Rotodock platforms and (with a connection bracket) can also attach to modular cubes. Installation options are varied, we can provide piling and anchoring. They can also be installed on existing piling or a floating dock. 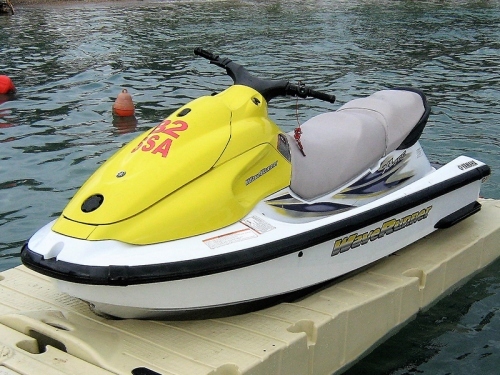 Just call us with your requirements and we will do all we can to create a suitable dock for your jetski in it’s current situation. We are proud to be the distributors of such innovative, durable and robust products. If you wish to become a regional retailer of the PMS product range for Wardle Marine Services, please give us a call to discuss the details on 01420 86229.